Yesterday was an interesting one in Azeroth — Dalaran was completely missing! 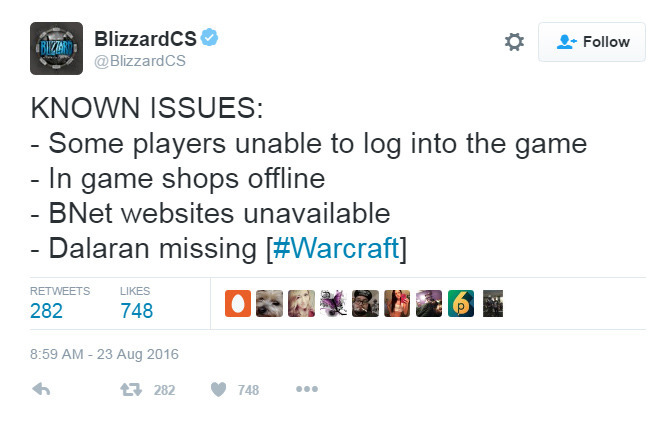 And even worse, if you had logged out there, when you logged in you fell to your death! Hey, I was right! I only guessed that because I was rereading part of the comic and happened to start when Vida met the Broken and her mother again. Her family’s sigil seemed to be very important and I saw her hammer had it on the side, so I guessed that if it was the same hammer, she might see the symbol and hopefully it might knock her out of her Sha induced madness.